It’s been two weeks. Now, much of this delay can be blamed on the busy schedule of a TFI fellow, but to be honest its more the daunting task of writing something I believe to be worthy of your time. As unique and interesting as this fellowship sounds, and as incredible and insurmountable the challenges seem, my day-to-day life is not the most exciting. To be rather honest, it’s difficult to imagine people wanting to read about it. But yet you’re here, so I’ll begin. Class is…going. It’s overwhelming to try and fit in speaking and listening, reading fluency, reading comprehension, grammar, and writing all in the 2 hours I see them for everyday. And yet, without a holistic approach to my teaching, impact will be minimal – so I have to keep trying. You won’t believe the number of teacher resources available. From Pinterest, to just Google searches, to TFI’s drive and website, to books and friends and everything in between. I am so excited to have so much, and also so overwhelmed. I have to figure out how best to use all this to facilitate growth and learning for my students. I finally understand why this fellowship needs to be a two-year commitment. For a lot of us, much of the first few months is spent simply figuring out how to teach. And despite a five-week-long training, nothing can substitute for running things yourself (or even with your co-fellows) in your school. As I’d mentioned last time, the majority of my time is spent working with the struggling learners in our class. One of the reasons I love teaching is that you can visibly see the students learn and grow before your eyes. In the past two weeks, one of our quietest and most shy students has started actively participating in class. Much of this progress can be attributed to the smaller classroom size and the confidence lent to her surrounded by peers on a similar learning level. Our students are separated into three groups of higher order, middle order, and learning order based on knowledge and learning levels. Most of classic teacher theory would be insistently against this, as it is necessarily increasing rather than bridging the achievement gap – and that is fundamentally against TFI’s vision. When I entered my school, I knew this separation was wrong and had to go. Now, I’m not sure. I can see the benefits of the class we have here, and I’m not sure what would be best solution for all the students. The small LO classroom enables the children not only to receive more individual attention and grow faster, but also to become more confident and volunteer answers during class. On the other hand, in a heterogeneous environment, they would constantly be surrounded by peers who could help push them and pull them up. They could certainly grow faster with someone next to them who could help them all the time. But then again, wouldn’t this be pulling down the HO kids? My co-fellows, who know these kids much better than I do at this point, certainly believe that is what has happened in the past couple of years in heterogeneous classrooms. While it may “bridge” the achievement gap more than the current set-up of homogeneous classrooms, would that bridging occur at the expense of the HO kids? Even if we invested extra time with them outside of school, would that make up for the instructional time effectively “lost” with them during school because the content was too easy/slow for them? I don’t have the answers to these questions, but I’ll certainly continue talking to other fellows and reading. And of course, I’ll share my thoughts when I do solidify them a little more. Besides school routines, with children there are always moments of frustration. Why can’t they just listen? There are moments of anxiety. Are they telling the truth? What is the best way of responding to this situation so that they learn their lesson but don’t feel too bad? Basically, I don’t want to be too strict, but I cannot afford to be too lenient either. What is the balanced response? Honestly, the right answer depends on you as a person and on the student in question. You have to understand the student to know what to do. I’m learning slowly…I’ve understood that if Harshal wants to go to the bathroom, he’s probably just restless; whereas if it’s Sania, she should be allowed to go. Still, this is a continuous process and something I struggle to get right on a daily basis – along with a few hundred other things! Outside school, life is never boring. When I’m not lesson planning, making charts (our house will soon resemble a craft store! 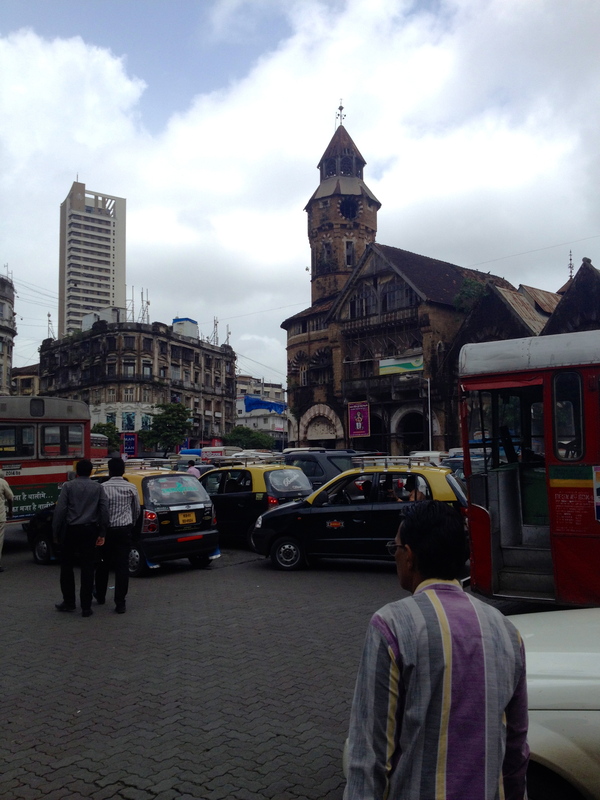 ), or still moving in and setting up the house, I do find some time to explore Mumbai and spend time with people. I plan to write separately about all the food I’ve had a chance to taste here. But for those who are thinking this life sounds depressing, it isn’t without its perks. I managed to go for a movie with my co-fellows, a play at the NCPA with my roommates, and dinner/drinks with a few other friends during the school week. I also discovered Naturals ice-cream this week, which is seriously the most delicious! Finally, I had a chance to see Crawford Market and bargain through the streets there last weekend. Although it was super-cool and historic, I do have to say…it doesn’t hold a candle to the street markets in Delhi.